DAVID LE/Staff photo. 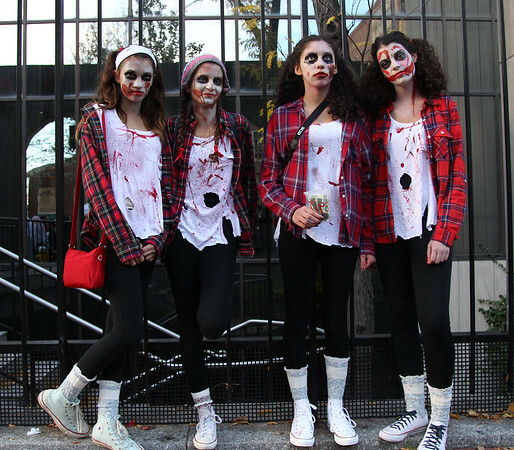 Chanel Kendrick, of Beverly, Marine Harman, of Peabody, Julia Fusco, of Hamilton, and Julia DeLorenzo, of Wenham, are dressed up as hipster zombie dolls as they lean up against a fence along the Essex Street Pedestrian mall on early Saturday evening. 10/31/15.